We are experts in developing a content strategy, optimizing your site by implementing SEO fundamentals, writing web copy, creating video scripts,and building new and lasting customer relationships through social media outreach. Sawfish Online is different than other agencies because we listen to you and understand your targets and goals, then we work with you to implement the best content strategy and create the content and marketing that works for you to help you be successful. Every business has something different to offer its customers or clients. Have your website and digital presence tell your story and help you reach your business goals with SawfishOnline.com. Larry at Sawfish Online worked his magic for Patsonics. He has integrity, a way with words and quickly gets up to speed on your business. He has my highest recommendation. 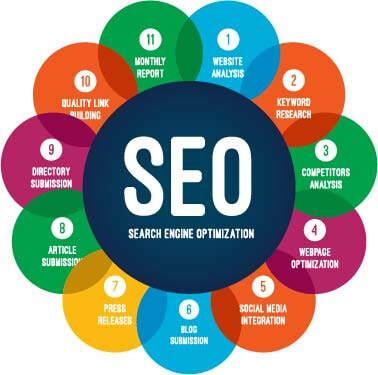 ​The thing that has impressed me from the start is Sawish Online's expert knowledge on SEO and online marketing. The uptick in online visitors has been tremendous. Certainly, one of the most positive experiences is the personal touch Larry has brought to the table. He truly developed a firm understanding of our business and services that allows you to showcase us digitally. From day one, I was noticed how Larry inserted yourself in each of our departments to gain an understanding of how we operate. Many companies take certain liberties to tell us how our business should be done, Sawfish Online is the opposite. They take a look at how we do things and support it. That is truly the difference that Sawfish brings to the table.